Wall Street index futures pointed to a higher opening on Tuesday pre-session hours as investors prepared for economic data and Fed speakers, including Chairwoman Janet Yellen. US stock indexes ended mostly lower on Monday as the recent healthcare failure continued to weigh on market sentiment and players started to wonder about the future of the tax reform. 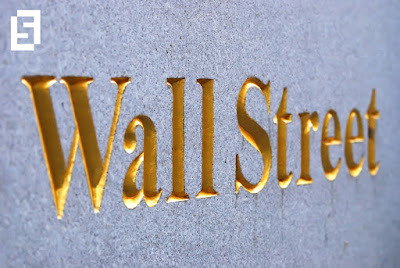 The Dow Jones industrial average closed nearly 45 points to the downside, with investment bank Goldman Sachs as the main decliner. The S&P 500 also came under pressure, dragged by banking and telecom stocks. The Nasdaq was the only index that closed on a high note. The Trump administration received a major political hit last Friday, as it was unable to coordinate efforts with GOP members to pass the American Health Care Act in Congress. It was the first serious legislation presented by the new government and it was meant to repeal and replace Obamacare, a heavily criticized law by Republicans. The healthcare bill vote was pulled and with it, expectations for other economic promises vanished. Trumpcare was seen by investors as an example of how the government deals with congressmen and GOP leadership. The negative outcome has been interpreted as a sign of weakness from a negotiation standpoint, which adds concerns over a long-awaited tax reform. There were no relevant economic reports published on Monday. Tuesday’s data front includes goods trade balance for February as of 12:30 GMT, with expectations for a deficit of $66.60 billions from a previous 68.84 billions. S&P Case-Shiller HPI for January will be available at 13:00 GMT. The Conference Board will also present its Consumer Confidence index for March at 14:00 GMT, with 114.0 points seen by economists. Market participants will be paying close attention to a fresh batch of speeches from FOMC officials this week. Kansas City Fed President Esther George is scheduled to speak at 16:45 GMT, only five minutes before Fed Chair Janet Yellen begins talking on workforce development in Washington. Dallas Fed President Robert Kaplan is also part of the agenda today, with his remarks starting at 17:00 GMT, while Fed Governor Jerome Powell is coming at 20:30 GMT.